The AquaCure is a practical, reliable and versatile hydrogen inhaler that will give you years of trouble free service and is loaded with safety features. The AquaCure can be used continuously with minimal maintenance (just add pure water and clean it about once a year). 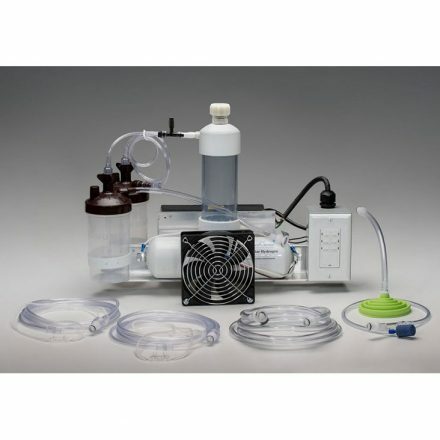 This machine has safety certification, pressure relief, pressure control, variable output, etc., making it one of the best options if you’re looking to own a HydrOxy Inhalation machine and indeed one of the best tools for molecular hydrogen therapy. 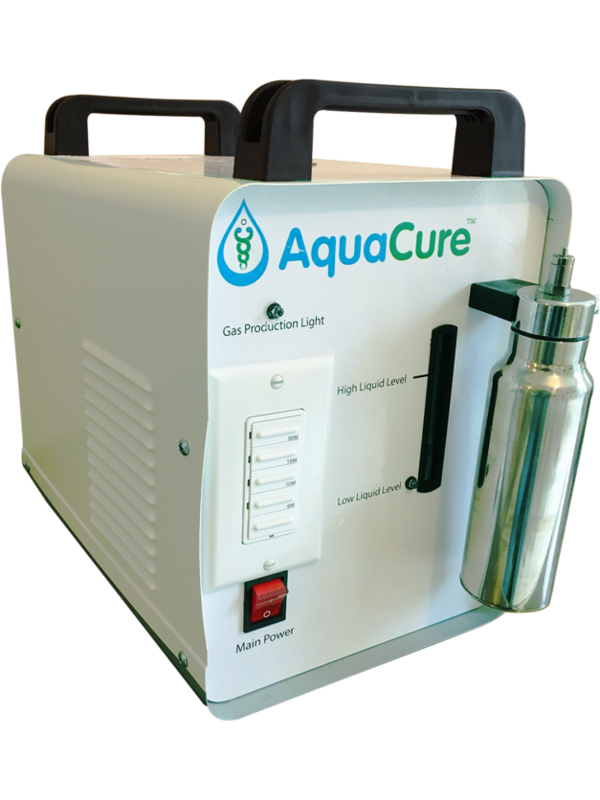 The AquaCure™ (Model EA-H160) generates about 75 liters per hour (LPH) of mixed hydrogen and oxygen gases. The AquaCure infuses water with hydrogen to at least 1 ppm and up to 1.6 ppm of hydrogen (depending on the pressure). It takes about 10 minutes to fully infuse a liter (quart) of water. AquaCure has long life, reliable electrical and electronic components and electrolyzer chamber. AquaCure is CE safety certified, which I’ve then UPGRADED to pass CSA/UL standards. In addition to all the above, we do our OWN multi-step testing on every single AquaCure machine, so there is NO QUESTION that it will perform perfectly for you. AquaCure has a 2 psi electrical shutoff AND an over-pressure gas relief. These are IMPORTANT safety factors because when water is turned into gas, it expands and ‘wants to’ take up 1800 times more space. If confined to a specific volume, (enclosed container without release) the internal pressure rises until the machine bursts and/or explodes. If the HydrOxy is used as created, on-demand, there should never be a case where the pressure would rise too high…BUT what if the gas output hose gets trapped (pinched) under a chair leg (as happened to me) or gets kinked under a pillow as someone sleeps…? (1 ounce of lye in about a quart of water). This mixture IS technically caustic but can be safely used if appropriate care is taken. Warranty includes parts, labor and shipping if issue is manufacturer related. We’ve been in business since 1984 and expect to be in business at least another 20 years. If Warranty is invalid (because of user or shipping abuse), we will still repair any issues for lifetime if purchaser pays for parts, labor and shipping. 100% no questions asked one YEAR money back satisfaction guarantee (from the date you receive the machine). International orders (all outside of USA) are shipped from Fort Erie, Ontario Canada.